But maybe you&apos;ve covered all that ground before and are in search of one of the lesser-known spots in the Smokies. Or maybe you&apos;re just the kind of person who wants to get away from where the rest of the crowd goes and do something that&apos;s unique. If either applies to you, read on, because in this post, we&apos;re sharing a few of the national park&apos;s hidden gems, places that not everyone may know about but that are definitely worth the visit. This section of the park is very close to Gatlinburg, but it often gets overlooked, because visitors are more focused on the main entrance and visitor center located south of downtown. However, Greenbrier, only 15 minutes from downtown Gatlinburg, has its own entrance, which leads to a number of worthy stops. Ramsey Cascades trail leads to one of the most beautiful waterfall destinations in the park, and routes like the Porters Creek Trail and Old Settlers Trail feature a number of structures that illustrate the area&apos;s history prior to the establishment of the park. This is also an area where you can still see the remaining scars of the devastating wildfires of November 2016. Travel a little farther out U.S. 321, away from Gatlinburg, and you&apos;ll arrive at another section of the park with its own entrance, located near the small community of Cosby, TN. It doesn&apos;t get nearly as much traffic as other, more popular areas of the park, but it offers more than enough to justify the extra bit of gas it takes to get there. You&apos;ll find a park campground as well as the trail to Henwallow Falls, a beautiful, wide cascade. You might also want to visit the fire tower at Mt. Cammerer, which requires an 11-mile round-trip hike on the Low Gap Trail. The views from the tower are exquisite, and you can explore the western-style fire tower that used to help protect the national park from forest fires. Back in the main part of the park south of Gatlinburg you&apos;ll find the Great Smokies Institute at Tremont, a facility devoted to the scientific study of the national park and its flora and fauna. However, Tremont was once a thriving logging community on the Middle Prong of the Little River. Today, in addition to the Institute, this neck of the woods offers several trails, including the Middle Prong Trail – a one-time logging road that offers access to several waterfalls. Along the route, you&apos;ll also see evidence of old Civilian Conservation Corps work camps as well as the rusted shell of an early 20th-century jalopy. It&apos;s a hiker favorite. Although we&apos;re based in Tennessee, we don&apos;t want folks to overlook what they have to offer over on the North Carolina side of the park. 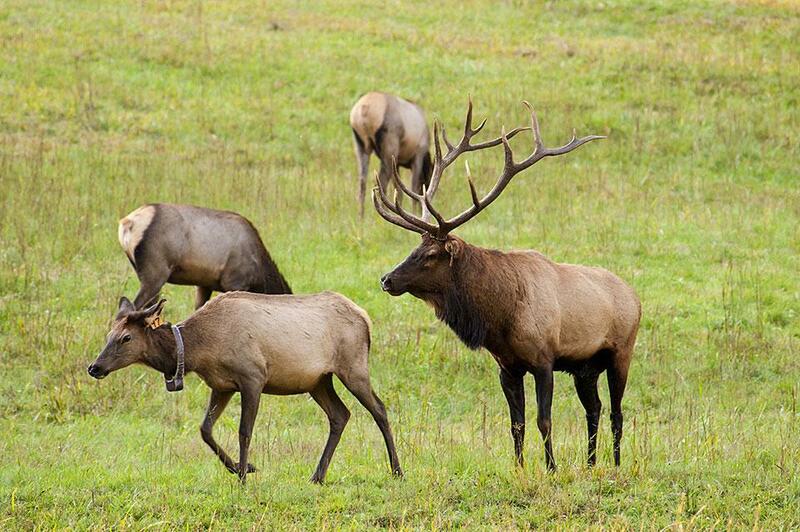 For example, the Cataloochee area is famous for being home to one of the few elk herds in the eastern United States. This is remarkable, because although elk were native to the area, they were overhunted for a period of time before being reintroduced to the Smokies. You&apos;ll also get a sense of the area&apos;s history as you tour old churches, farms and historic homesteads.